Why Not Plant Sudangrass and Protect Forage with the Best Hay Covers? Ready the hay covers friends. Its almost time to get those summer forage crops into the ground. For many areas of the United States, the seeds will need to be planted by late April or the end of May for a maximum harvest. Which type will you be planting and did you ever think of choosing sudangrass? It has its merits you know. For starters, its fast-growing, self-rejuvenating and very forgiving as far as environmental elements go. It needs little to get started but there are downsides too. When it comes to harvest and storage, the prussic acid rich plants are temperamental. They have to be cut in a timely, specific manner to ensure the proper acid levels and drying times are secured. Otherwise, the hay could sicken animals and potentially cause livestock loss. Because sudangrass has a notoriously high acid content, wed recommend hay covers that are chemical resistant. 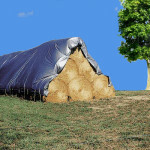 In addition, the hay covers should be abrasion resistant. Why abrasion resistant? Experience has taught farmers that sudangrass must be broken up before the drying phase. 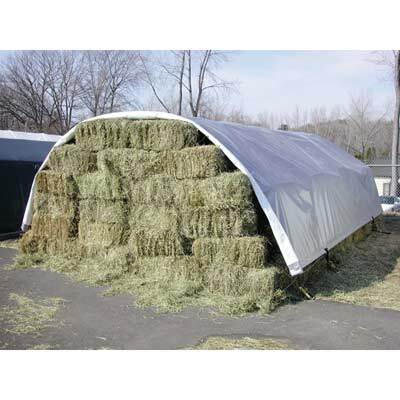 Thus, the crushing and drying process could damage non-resistant hay covers and tarps. With sudangrass, the final harvest phase generally doesnt happen until late August and early September. However, if planted early enough in the spring, it may turn over several times before then. So, it is wise to have a large cache of chemical, abrasion resistant hay covers or tarps on hand at the start of the season, just in case. And remember, chemical and abrasion resistant tarps may help with the storage of soil amendments too. As we mentioned above, sudangrass is fairly forgiving but it does need some care along the way. Examples include periodic application of fertilizer and lime, which may be stored along with the chemical resistant tarps. To learn more about hay covers and tarps for use with sudangrass or related farming supplies, please contact us today. 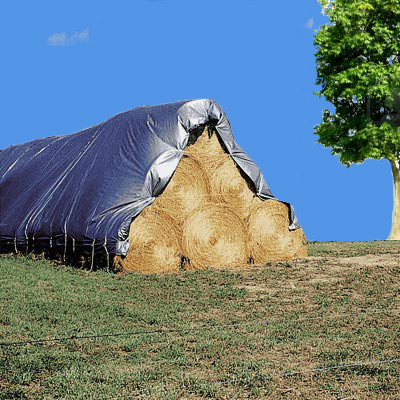 This entry was posted in hay tarps and tagged hay tarp covers on July 11, 2016 by Canopies Tarps.